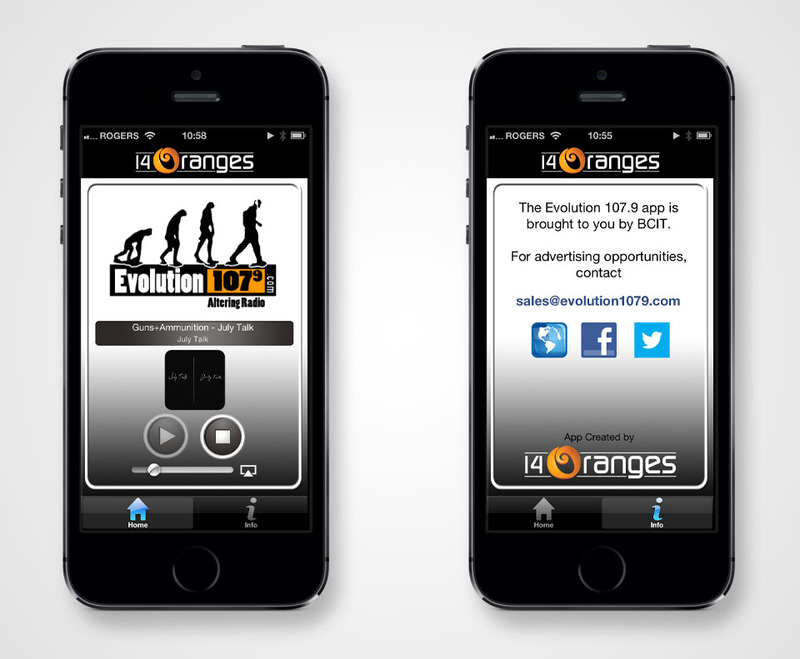 BCIT’s radio station, Evolution 107.9, runs on the 14 Oranges mobile application management service to deliver their mobile radio presence. The service mashes-up social media feeds with their streaming audio channel, expanding their stations’ footprint to the latest smartphones. Listeners get to engage with the latest news and information about the band from their preferred device, while the stations share local news and advertising to their online audience.